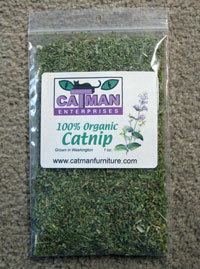 My high-quality organically grown catnip is sourced from a local Washington herb company, in business since 1918! Cats feel the effects of catnip for five to ten minutes or so after smelling or eating it, and not all cats react the same. 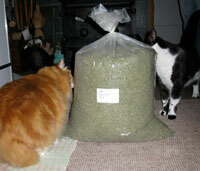 Catnip is not an addictive substance! The cats will not suffer withdrawal if it is taken away from them. They also will not overdose on it. Cats will simply walk away when they have had enough. 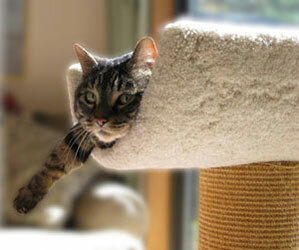 Some cats (about 30 percent) are not affected by catnip and are not interested in it. 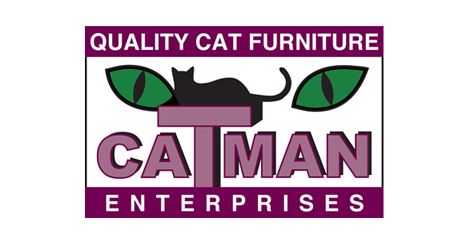 Cats that do inherit the catnip gene do not develop an interest in catnip until after they are three months old. Very young kittens under eight weeks old are often repulsed by it and will avoid it. Santa's got a brand new bag!